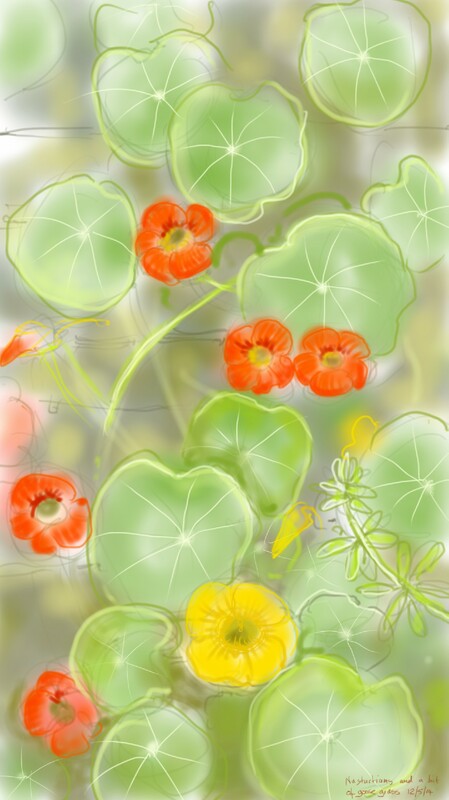 This entry was posted in Plants and tagged art, digital sketch, drawing, flowers, Galium aparine, illustration, my garden, nasturtium, phone sketch, plants on May 12, 2014 by Nancy Farmer. Thank you 😉 …I think I rushed it a bit, it’s been one of those days, but still. I made my man try a nasturtium leaf last year, he was not incredibly impressed. He holds the view that just because a plant IS edible doesn’t mean you have to go round eating it….